BJP released the second list of its candidates to 22 assembly constituencies in Odisha while Congress also cleared 54 names for party ticket to assembly constituencies in the coastal state. Both the national parties have also released names to Parliamentary constituencies. B JP, in its first list on Thursday, has approved names for 99 assembly constituencies while Congress has selected 35 names earlier. Debraj Mohanty who had joined BJP two days back will get the party ticket for Aska assembly constituency; Purna Chandra Nayak the other BJD deserter also got the ticket. He will contest from Dasapalla. Sisir Gamango, son of former CM Giridhari Gomango, has been fielded in Gunpur. 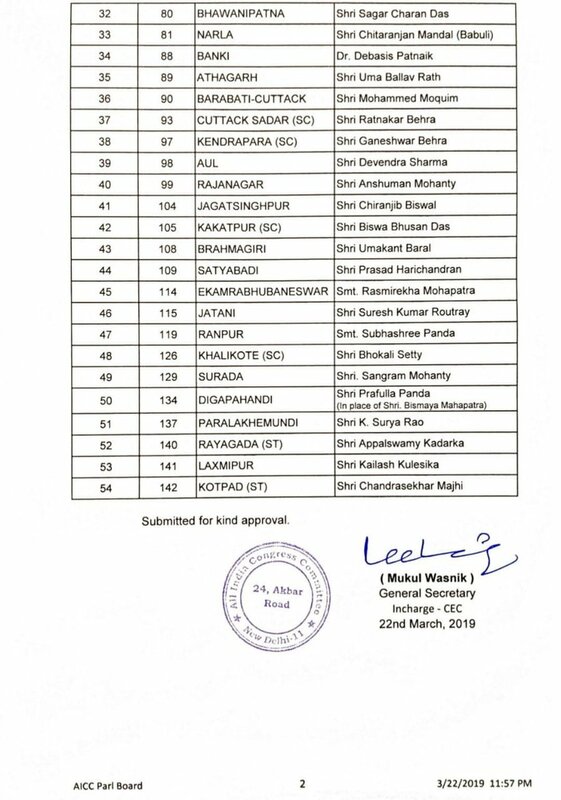 Pradeep Nayak got the ticket for Bhawanipatna. 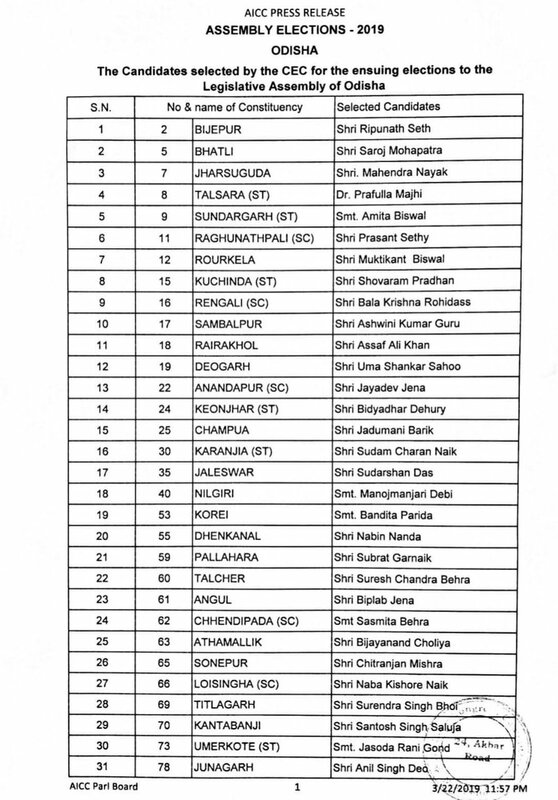 Congress’ candidate list contains names of Prafulla Majhi (Talasara), Jayadev Jena (Anandpur), Chiranjeevi Biswal (Jagatsinghpur), Prasad Harichandan (Satyabadi) among others. The party has given a ticket to Naveen Nanda for Dhenkanal. Naveen, the former Dhenkanal legislator has joined Congress two days back. Hemananda Biswal’s younger daughter Amita Biswal has got the Sundergarh- Assembly ticket. Her eleder daughter Sunita Biswal is in the fray for the Sundergarh Parliamentary Constituency in a BJD ticket.